Audible is the world’s largest library of audiobooks. However, almost all the audiobooks downloaded from Audible or iTunes, authorized by Audible, are protected by Audible’s Digital Rights Management (DRM) in aa or aax format, which means that they can’t be played on non-audible-approved devices even if you’ve already paid for them. If you want to listen to Audible audiobooks more freely, it’s advised to convert the DRM-protected aa/aax format to the most popular format – MP3. 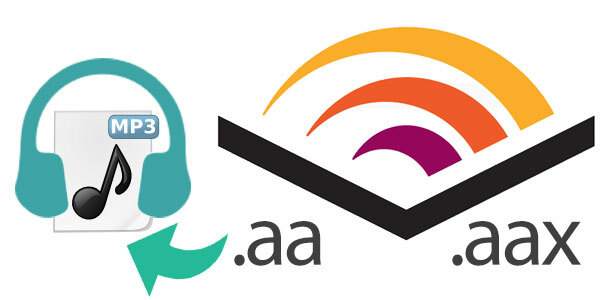 Here comes the question: How to Convert Audible aa/aax Audiobooks to MP3? This tutorial will show you the best way to do it with a well-received application - NoteBurner Audiobook Converter, step by step. Provide lifetime free updates and technical support. 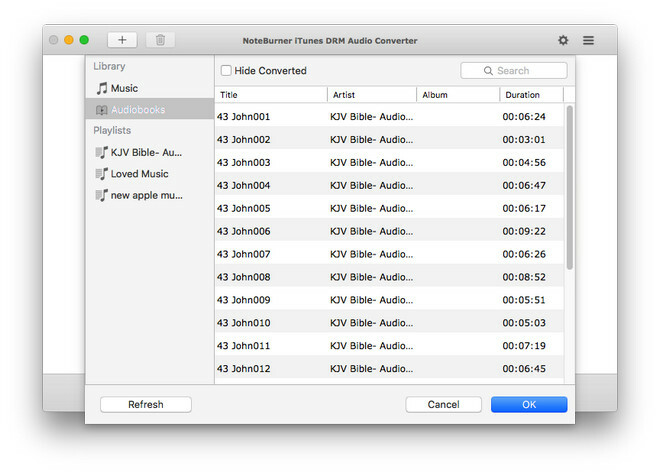 NoteBurner iTunes DRM Audio Converter is a special tool developed for removing the DRM from iTunes and Audible audiobook. It can convert the audiobooks to popular formats, including MP3/AAC/FLAC/WAV, at 20X conversion speed with lossless quality. Furthermore, its' concise interface, user-friendly operation design and high compatibility with the latest version of Windows & Mac OS & iTunes have got great reputation from worldwide users. 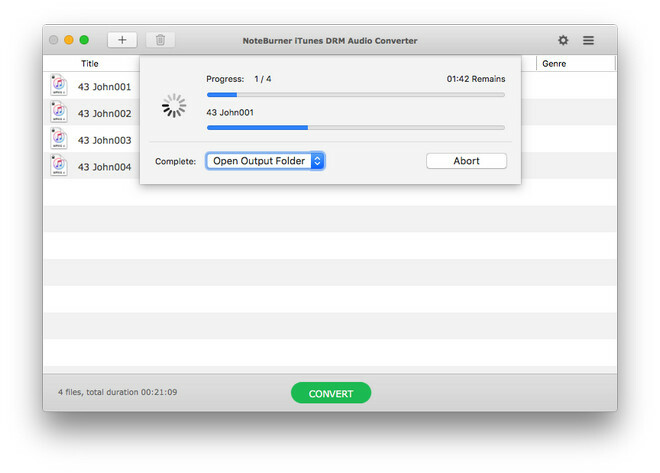 Note:NoteBurner Audiobook Converter is not limited to remove the DRM from iTunes & Audible audiobooks. It can also convert Apple Music to MP3, FLAC, AAC and WAV. You can take full advantage of this multifunctional audio converter and enjoy yourself anywhere anytime. As mentioned above, NoteBurner Audiobook Converter supports both Windows and Mac OS. Here we will just take Mac OS as an example to show you the detailed instructions. 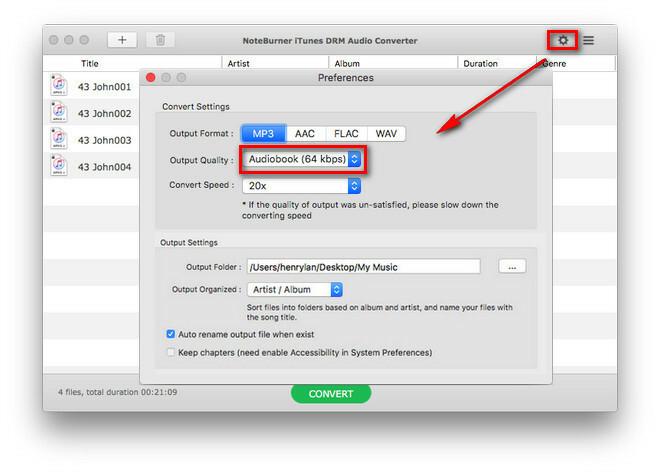 To get started, please download NoteBurner Audiobook Converter to your Mac. If your Audible audiobooks are downloaded from iTunes, you can directly find them in "My Audiobook" section of iTunes. But if they are downloaded from Audible, you must first import them into iTunes. Here we go: 1) Open iTunes; 2) Select “File”>”Add file to Library”; 3)Select files to import; 4)Click “Open”. Now you can find them in your iTunes. When all the audible audiobooks are imported into iTunes, please close iTunes manually. If you want to refer to a video demonstration, you can click How to Manually Import Audible Content into iTunes Using iTunes. Launch NoteBurner Audiobook Converter, and iTunes will open automatically at the same time. Click button “+” on the upper left. Then a pop-up window will show you all the iTunes music and audiobooks you’ve downloaded. Click “Audiobooks” and now select the audiobooks you want to convert and click “OK”. Click NoteBurner iTunes DRM Audio Converter (on the upper left of the screen)>Preferences, then you will see a pop-up window which allows you to choose output format(MP3/AAC/FLAC/WAV), conversion speed, output path, etc. Here we choose MP3 as output format. Click “CONVERT” in the middle and all the audiobooks you selected in Step 3 are on the way to be converted into MP3 format. When the conversion is finished, click the history button (three lines on the upper right) and you will see all the converted audiobooks in MP3 format. Or you can directly go to the output folder customized in Step 3. Congratulations! Now you've successfully got the DRM-free Audible audiobooks with the extension ".mp3". Just take your time to please your ears!